The plant is mostly tender, with a growth of 15 to 30 cm, but it can also reach a height of up to 70 cm. The stem carries 2 to 9 alternate foliage leaves. The first ones are reduced, the upper leaves can be up to 12 cm, spreading horizontally or directed upwards. The loose inflorescence has 3 to 15 large flowers, which are often only half opened or almost closed. Sepals and petals are acuminate, the sepals being pubescent at the exterior. The lip has two parts: the hypochile with erect lateral lobes, the epichile has several yellowish to brownish ridges. Linné described this plant at first as Serapias rubra in his opus Systema naturae (1767). The present name was given by the French botanist Louis Claude Marie Richard in his opus De Orchideis europaeis annotationes (1817). 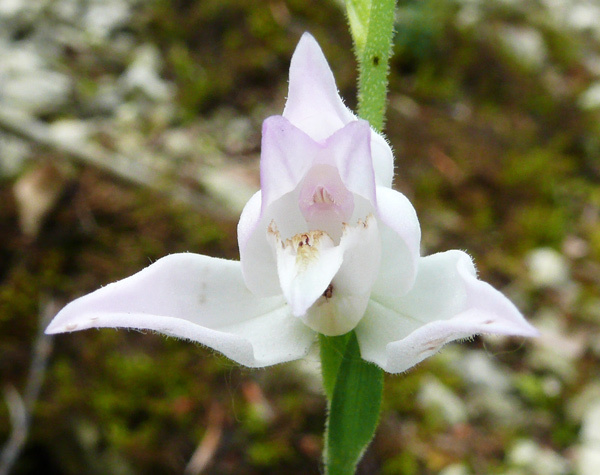 The regular colour of the flower is pink or light purple. 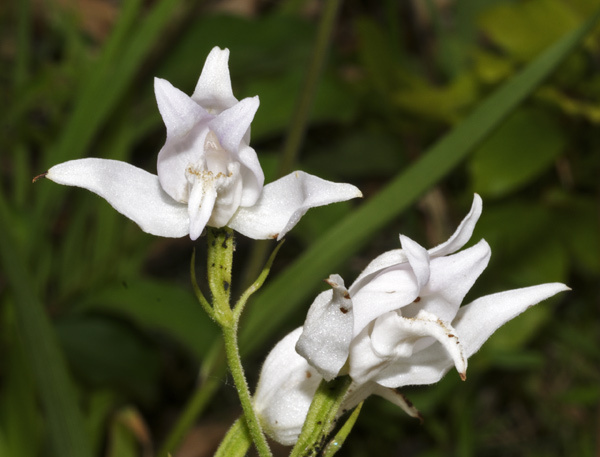 Plants with white flowers are quite rare. Sometimes they preserve a last hue of violet in their flowers. 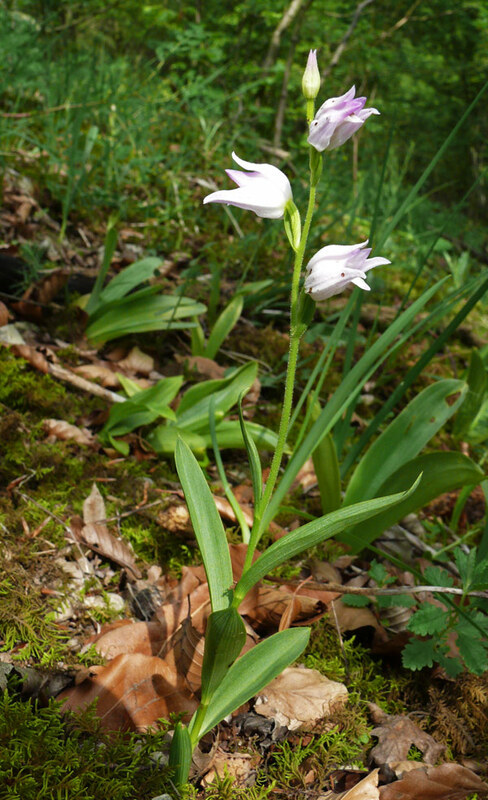 Cephalanthera rubra can also develop albino plants, where the colour is also missing in the foliage leaves. 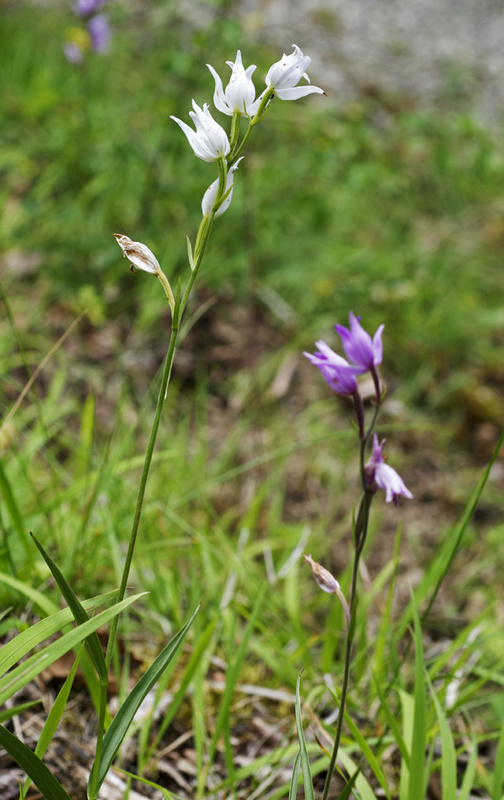 Cephalanthera rubra inhabits deciduous woodland and requires chalky, alkaline soils. It occurs in most parts of Europe, up to 2000 m, but is endangered in many regions. Bloom is from May to July.